Senior Executives from the three South Australian Universities are joined by Doug Cole Head of Global Employability and Enterprise at the UK Higher Education Academy to discuss disruption and the impact on learning and teaching and the student experience. The panel will use the new HEA Student Success Framework as a common reference point and will be facilitated by STARS Fellow Professor Ron Oliver. Ron Oliver has recently retired from Edith Cowan University where he served as the Deputy Vice- Chancellor (Teaching & Learning and International) and Pro Vice-Chancellor (Learning and Teaching) from 2007 to 2016. Ron’s background is in education and he has taught (and enjoyed himself thoroughly) in Schools, VET and higher education. Throughout his teaching career he has pioneered the use of learning technologies to enhance student learning outcomes. He has researched widely in e-learning and has shared his work and ideas at many national and international conferences and forums across the years. Recognition for his innovative teaching, research and leadership includes an Australian Award for University Teaching (1997), a Carrick Institute Fellowship (2006), Fellowship of the Association for the Advancement for Computers in Education (2007), Fellowship ASCILITE (2009) and Foundation Fellow of STARS (2015). 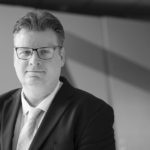 Doug is a Senior Fellow of the Higher Education Academy and a Fellow of the Chartered Institute for the Management of Sport & Physical Activity with over fourteen years industry experience and ten years in Higher Education. Doug was recently awarded Honorary Fellowship of the Institute for Enterprise and Entrepreneurs, the highest accolade the institute can award. Previously Doug spent seven years working in Asia, including China, Hong Kong and Thailand, returning to England in 2007. Doug joined the Higher Education Academy as their Head of Academic Practice in June 2015, moving into the role of Head of Global Employability and Enterprise in April 2017. Prior to this Doug was Head of Employability and Enterprise at Northumbria University. In 2012 Doug developed the concept of a framework for employability to support institutions in developing more consistent approaches to this important area of work, with a particular focus on curriculum design. In 2013 Doug went on to develop this work further and co-authored the Higher Education Academy publication De ning & developing your approach to employability: A framework for higher education institutions with Maureen Tibby and both then led on the refresh of this framework in 2015. Doug has spent the last ve years supporting institutions to embed this framework both in the curriculum design process, working with Senior Management, Academic Registry, Faculties, departments and programme teams and more broadly across institutions through engagement with other key stakeholders such as Student Unions’ and Careers Services. Doug is currently studying part-time for a PhD with Northumbria University focused on institutional employability policies and practice in Higher Education and is in his nal year. Philippa joined the University of Adelaide as Pro Vice-Chancellor (Student Learning) in April 2015. She was previously Deputy Chief Executive, and Director of Academic Practice, of the UK’s Higher Education Academy (HEA). At the HEA she led national enhancement strategy and services, including commissioned educational research, across all academic disciplines and in a range of thematic areas such as employability, internationalisation, student retention and success, exible learning, online learning and ‘students as partners’. Prior to joining the HEA in 2012, Phil was Professor of Learning and Teaching Enhancement in Higher Education at the University of Shef eld, where she held a number of academic management roles including Head of the Information School (iSchool) and Director of a National Centre for Excellence in Teaching and Learning also based at the University of Shef eld. Phil’s academic career began in 1989 at Shef eld where she taught in areas including: educational informatics; information and digital literacies; educational/learning issues in information/library systems and professions; aspects of information and knowledge management including leadership and management of information services; professional learning in knowledge-intensive environments. 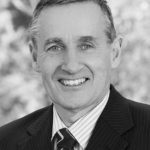 Phil’s professional activities include numerous invited presentations, a number of personal consultancies and, in 2009, time spent in New Zealand as a Visiting Fellow sponsored by HERDSA (Higher Education Research and Development Society of Australasia). She is a member of the editorial board of the journal Teaching in Higher Education and served as Deputy Convenor of the Education 1pa5ne6l for the Hong Kong Research Assessment Exercise, 2014. Professor Clare Pollock is the Deputy-Vice Chancellor (Students) and Acting Deputy-Vice Chancellor (Academic) with responsibility for strategic leadership and oversight of student-related and academic services. Clare joined Flinders in 2016, following an extensive and diverse career at Curtin University where she held a number of signi cant leadership roles including Associate Provost, Dean of Students (Health Sciences) and Head of School of Psychology and Speech Pathology. A PhD graduate of the University of London, Professor Pollock’s distinguished research career includes research into behavioural aspects of safety and people’s interaction with technology, together with extensive supervision of research students. 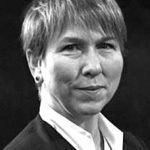 Clare has been an investigator on research grants worth over $2M, including ve NH&MRC and ARC grants and has published over 100 scholarly works, and is an editorial board member for international peer reviewed journals. 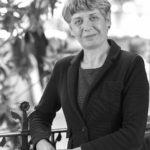 Clare has extensive experience providing service and leadership to both the University and the Community through her many positions on boards and from her time on the Australian Psychology Accreditation Council and the Universities Australia Clinical Placement Advisory Group. Marie Wilson is Pro Vice Chancellor of Business and Law, and Professor of Management, at the University of South Australia (UniSA). 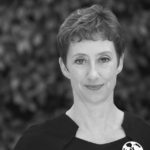 She has over twenty years of University leadership experience, including senior roles at Grif th University and The University of Auckland, New Zealand. She is the former managing director of a multinational medical relief agency, and has been a senior manager in strategy and HRM for seven public companies, including one of the world’s largest IT companies. She also has extensive experience in start-up and high technology ventures. She is a Graduate of the Australian Institute for Company Directors, and a Fellow of AIM and ANZAM. Professor Wilson holds a JD in contract and employment law, and a PhD in management of higher education, as well as other postgraduate degrees in science and rehabilitation. Her speciality areas in research, teaching and practice are the management of performance, with a focus on professionals and knowledge work. She has over 20 years high level experience in consultancy and executive development for both public and private enterprises.